This is a picture of a poster put up on a hotel run by a Tibetan family in Sikkim, India. Look at it carefully. 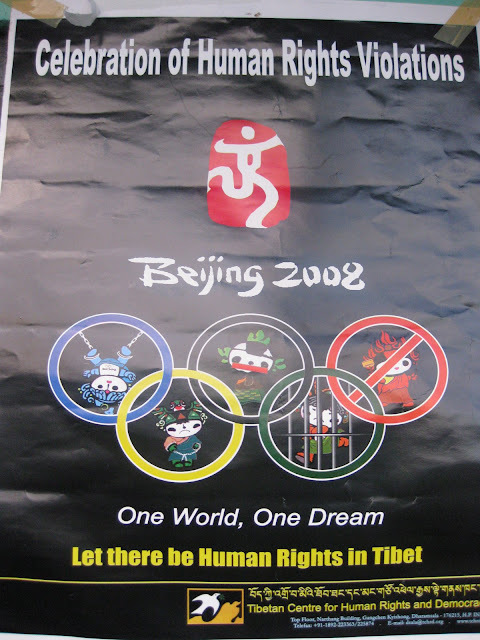 Isn’t it interesting how China had promised to improve its human rights record prior to the Games? We all know how it went down after the Games – more political persecution, less freedom for people, less freedom for press – oh, but more money. So, who cares, right?